SNC-Lavalin warned federal prosecutors last fall about a possible plan to split the company in two, move its offices to the United States and eliminate its Canadian workforce if it didn’t get a deal to avoid criminal prosecution, newly obtained documents show. The documents, part of a PowerPoint presentation obtained by The Canadian Press, describe something called “Plan B” — what Montreal-based SNC might have to do if it can’t convince the government to grant a so-called remediation agreement to avoid criminal proceedings in a fraud and corruption case related to projects in Libya. Under that plan, SNC would move its Montreal headquarters and corporate offices in Ontario and Quebec to the U.S. within a year, cutting its workforce to just 3,500 from 8,717, before eventually winding up its Canadian operations. “The government of Canada needs to weigh the public interest impact of the prosecution of SNC-Lavalin,” the presentation reads. Of all the options for the future of the company, the plan in the presentation was the “most obvious” to follow and “well advanced” in terms of planning, say the documents, which the Privy Council Office confirmed receiving late last year. The company’s board and senior management were prepared to quickly bundle parts of the business that had no role in the Libya case into a new entity, putting the “trio of possibly convicted entities” into another organization that would operate “on a reduced business level in Canada or heading into eventual wind-up,” they read. 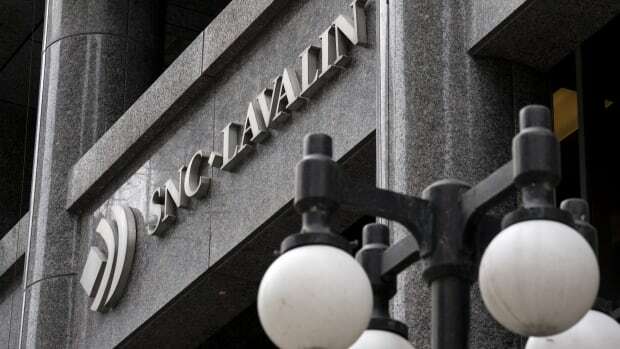 SNC-Lavalin spokesman Nicolas Ryan confirmed the authenticity Thursday of what he called a “confidential document” that was submitted to the Public Prosecution Service of Canada to allow the director of public prosecutions to consider the company’s request for an agreement. “We have always been transparent with our various stakeholders about the importance of the public interest argument/case for Canada in having a globally competitive SNC-Lavalin as part of Canada, headquartered in Montreal,” Ryan said in a statement. A remediation agreement remains “the best way to protect and grow the almost 9,000 direct Canadian SNC-Lavalin jobs, as well as thousands of indirect jobs,” the statement continues. The presentation, which was delivered by mail to The Canadian Press anonymously and without a return address, also suggests the end of seven-figure donations and sponsorships for various community causes, hundreds of millions more in lost tax revenues, and the loss of spending on research positions at universities. Prime Minister Justin Trudeau has held up the threat of job losses as the main reason he and others pressed former attorney general Jody Wilson-Raybould to look into the prosecutor’s decision. Wilson-Raybould told the Commons justice committee last month she came under “consistent and sustained” pressure — including veiled threats — from Trudeau, his office, the Privy Council Office and Finance Minister Bill Morneau’s office to halt the criminal prosecution of SNC-Lavalin. The ensuing political fallout has cost Trudeau two cabinet ministers — Wilson-Raybould and former Treasury Board president Jane Philpott, who said she had lost confidence in the government’s handling of the affair — as well as one of his top aides, Gerald Butts, and Michael Wernick, clerk of the Privy Council, who will leave his post as the top federal civil servant before the fall election. SNC-Lavalin CEO Neil Bruce and Wernick met on Sept. 18 about the company’s legal troubles. Wernick testified earlier this month that he spoke with Wilson-Raybould the next day where the former attorney general appeared “very firm in her mind” that the prosecutor’s decision to not negotiate a deal with SNC-Lavalin was final. Wernick said Wilson-Raybould told him the only option for the company was to make public interest arguments through its lawyers. A spokeswoman for the prosecution service said any discussions or documents in the case are confidential.